So last weekend I was lucky enough to attend the #BloggersFestival again this year - read last years post here. 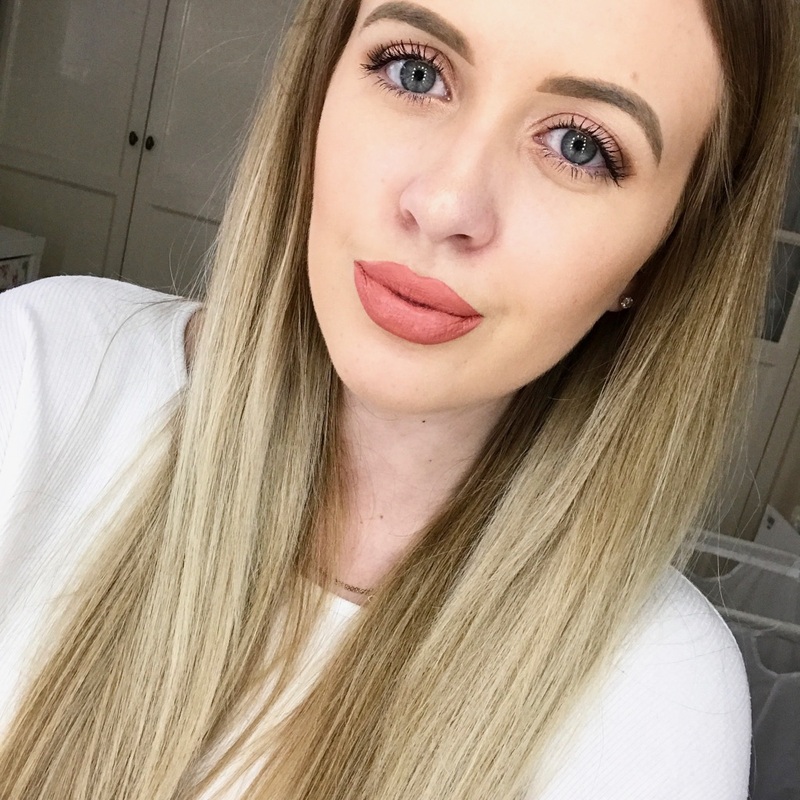 The event is run by the lovely Scarlett from Scarlett London and its a chance for bloggers to meet with each other and also network some really amazing brands. I'd actually missed a lot of events this year as I just couldn't fit it in around uni, so I was really happy to be able to attend this. Before this event I got in contact with Madolyn from Madolyn Thinks who I met at last years event and we decided to meet up before hand. I always like to do this as its nice to know someone before going into the event as its quite daunting going to one of these big events on your own. We met up on Oxford St and headed over the Conrad London St. James, where the event is held. I have to say Scarlett does so well with the location as the hotel is gorgeous. 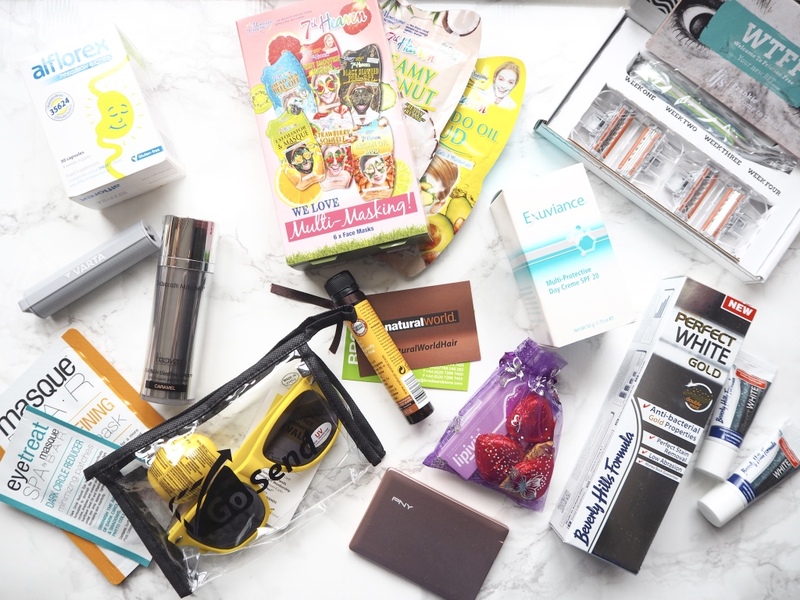 At the event there is quite a lot of brands there all giving out lots of amazing freebies, I thought on this post i'd give you an over view of the brands and a mini (well actually not so mini) haul I got - it actually killed my arms carrying this back on the tube and train. This was one of the first stands we called out and it took me right back to my teenage years where your mum would buy you these masks for a sleep over. However, these seem to have matured as I have as the selection is targeted at different skin issues and needs. the products I got was multi-masking set with 6 different masks and then also picked up a few more from the stand that I really wanted to try. This is probably one of the more strange products we got given but still intriguing. Alflorex is a pro-biotic aimed at helping treat the symptoms of IBS. I personally don't tend to suffer with IBS apart from sometimes getting discomfort after eating fatty or lots of food. At the event you got a two months supply so I will try it out and see if I notice any difference. The life saver for a blogger on the girl is a portable charger. Varta were there with the company Spectrum Brands talking all about their portable chargers. They gave all the attendees a free Powerpack 2600 that comes in 5 colours, I was a little gutted they had ran out of the mint green ones so opted for this pale grey instead. I have used this once so far and its really good and doesn't get hot or anything like others can. This was a brand i'd never heard of before but was told they were the pioneers in Bee Venom skincare. At the event we were given a Silk Skin BeeBee Cream to try out. This is effectively a BB cream that can be used on its own or under your makeup and keeps your skin moisturised. I have yet to try this out yet but I'm hoping I love it and can use it when I go away in a few weeks. This company is one of those mail forwarding companies that helps you get products delivered from America without hefty delivery charges. I was kind of annoyed to only hear about them at the event as a week before i'd used a different company. At the event you were given the chance to win one of three makeup prizes, unfortunately I didn't win but you did get a good bag with American sweets, an EOS lip balm and a years membership for their VIP service. This was a brand I recognised as I remember it from the event last year. This year I was given a sample of the Chia Seed oil and was excited to try it as I really liked the other oils from them. After using the oil my hair felt much more bouncy and soft with added volume. I did find it odd that there was two portable charger companies at the event but I wasn't going to moan. The company PNY gave out the most adorable rose gold charges that really are instagrammable! I used this on my way home from the event and it saved my phone's battery life and charged it so quickly. This was the first stand we looked at and they had the more adorable set up with balloons spelling out the name and cute packages in an organza bag and chocolate - who could resist?! Anyway this products is designed to help attack and prevent cold sores. Personally I don't tend to suffer with them although I do get dry and chapped lips so I'm hoping they will help combat that. This was another brand I recognised from last year and I still use the products to this day (review here). Last time I got the Triple Microdermabrasion and its the most delicious fruity smelling exfoliating polish. This year they asked again what are skin issues are and one of mine lately is dry skin patches, the lovely lady recommended the Multi-Protective Day Creme with SPF20. I've seen this brand about the blogging community for a while with bloggers reviewing it on their blogs. FFS is a monthly subscription service where you get sent a new razor and 4 new blades every month, persuading you to change you razor when you actually should and not when its completely blunt. At the event we were all given Frankie to try, this is the middle range option from them with a 3 blade head and costs you £5 per month. I was a little gutted that they were giving out the Samantha options for obvious reasons and plus the fact that its rose gold! This was a brand i'd heard of and seen around but just never tried. There toothpastes are all designed to help whiten your teeth. At the event we were given goodie bags with samples of their black toothpaste and a full size gold toothpaste with actual gold particles. I have been using the black toothpaste so far and the colour is definitely a little scary at first and I haven't noticed a difference yet but I'm hoping my teeth will end up sparkling white! So that was just some of the products I picked up there and we really were treated! I had such a good time at the event, met so many other lovely bloggers and already can't wait to attend my next event! Were any of your at the #BloggersFestival? Wooowwwww! That's so cool! That must have been an awesome experience! I seriously want all of those face masks...like..right now! So many nice goodies, seems like a lovely event! What fab samples! The powerpack by Varta sounds so useful mine are always dying out when I travel! I read about this event in the Bloggosphere events supplement but when the time actually came, it just slipped out of my mind with so much happening at personal front these days. I am not going to miss this next year. Are there any more events scheduled this year before Christmas?